While the photographer of this majestic scene is unknown, the initials H.S. are penciled on the verso. 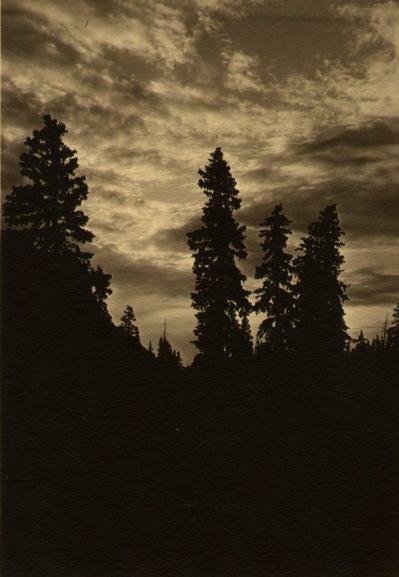 Items Similar To "Pine Trees Silhouette"